Visit Artmind to look at more awesome stuff. 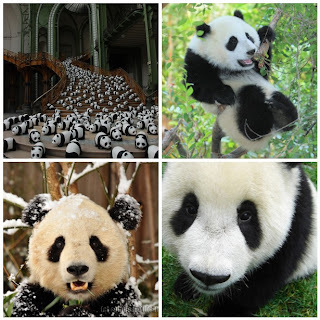 Look at all those pandas! Such cute pandas! Are you in Thailand? They have a TV channel there, which broadcasts a pandas life 24 hours a day. Pandas are really cute. Do you know that video on Youtube with Panda sneezing? Lovely, you should search for it. so sweet!!! it's such a cute animal! Thankyou. I wish i was in Thailand! I want to see pandas all day. Oh, and when a panda is sneezing it is cute! Artmind- I would love to see them in real life!